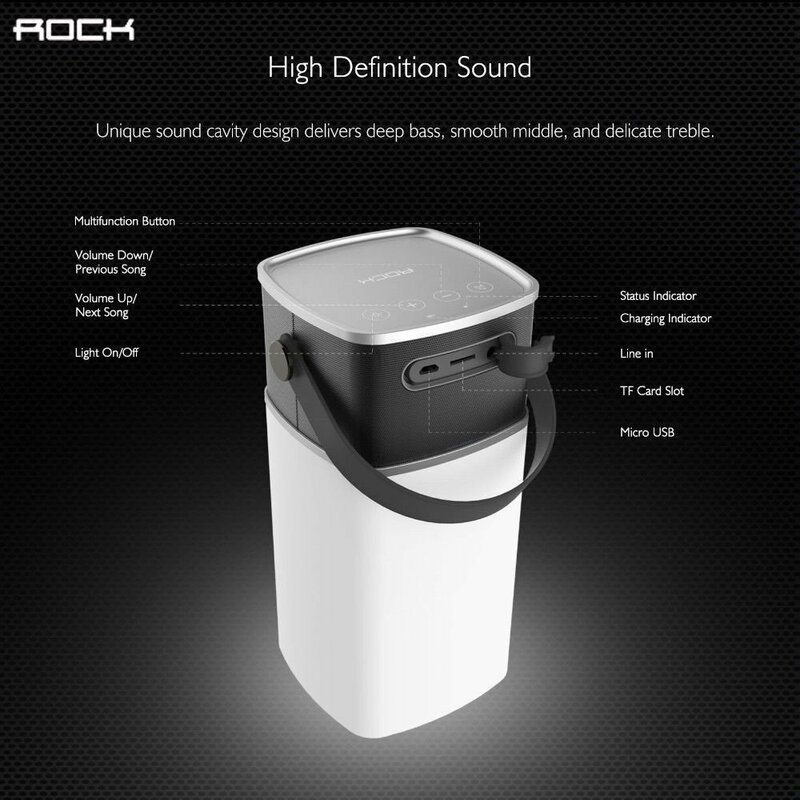 Unique sound cavity design provides deep bass, smooth middle, and delicate treble, you can enjoy music indoors or out doors with IPX4 waterproof grade. 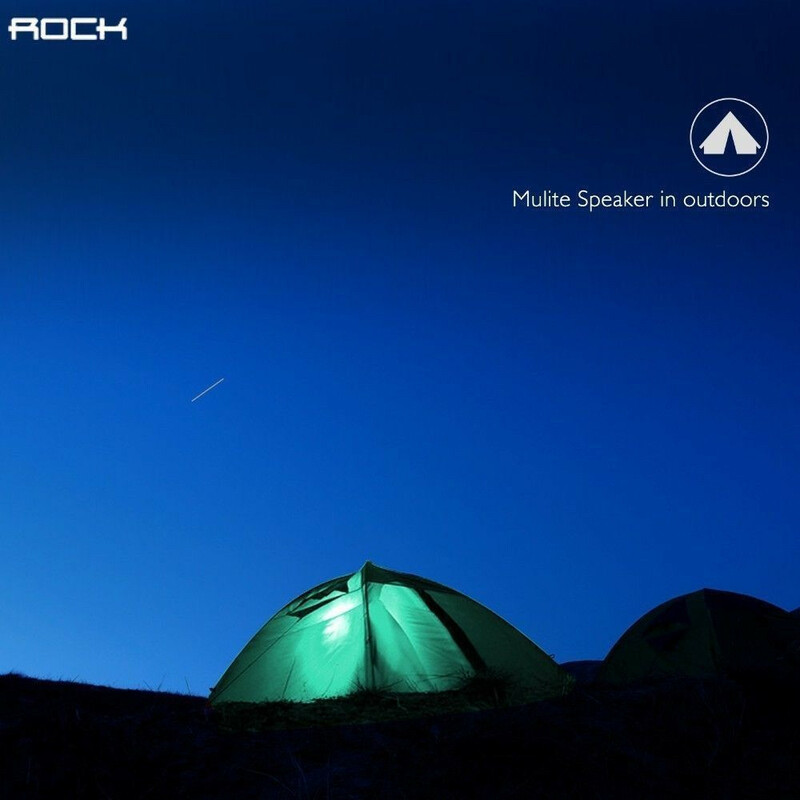 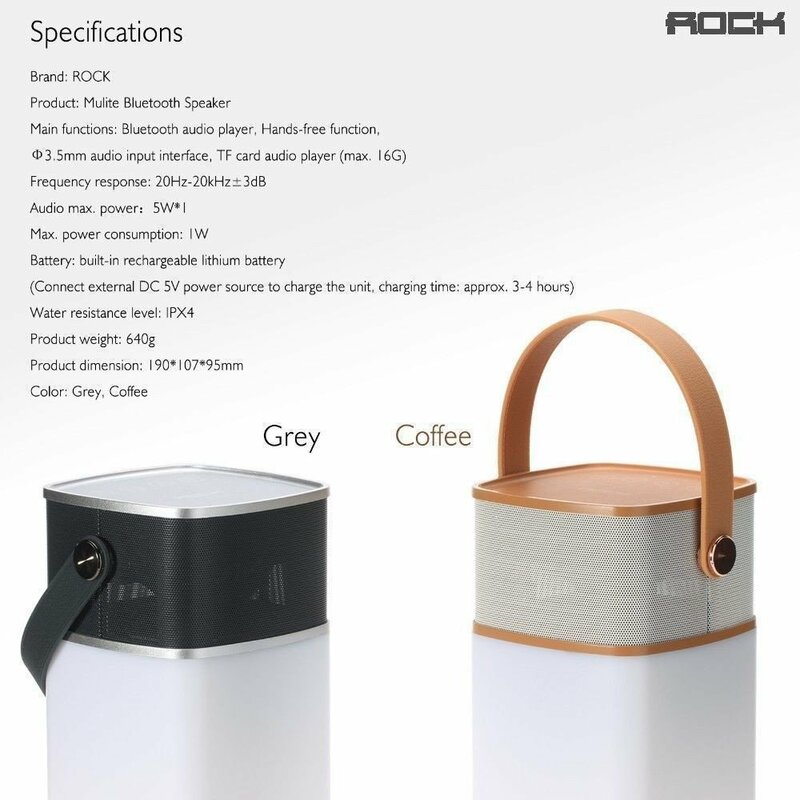 The speaker and build-in microphone can perform hands-free function, convenient and speedy, a 3.5 mm au cable or Micro USB cable connect the speaker to computer, mobile phone, MP3, etc. 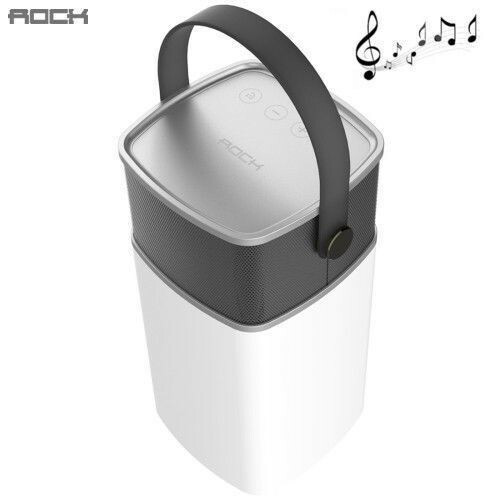 to broadcast music. 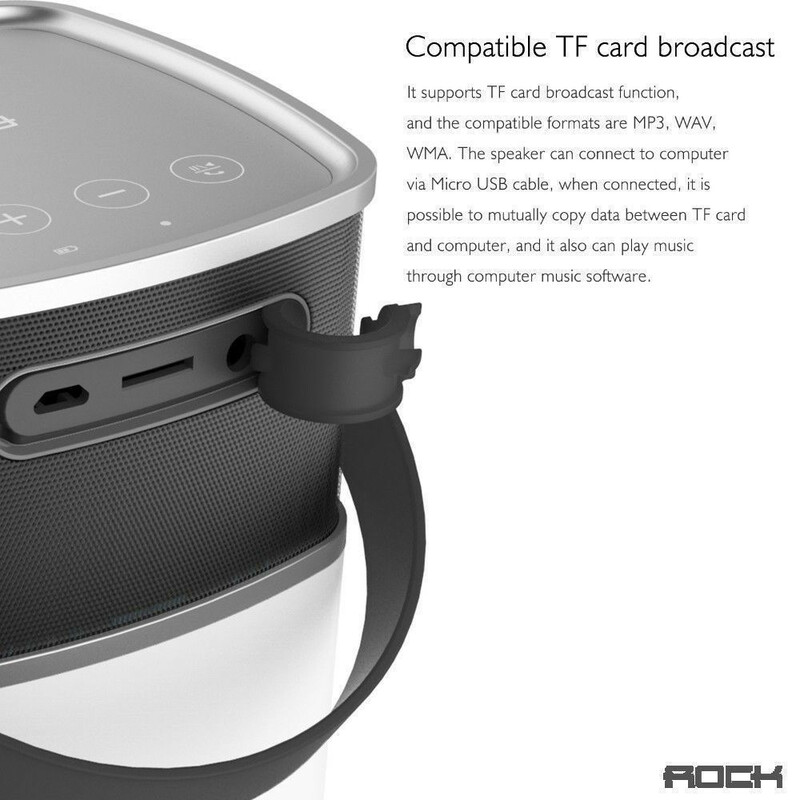 It supports TF card broadcast function and the compatible formats are MP3, WAV, WMA. 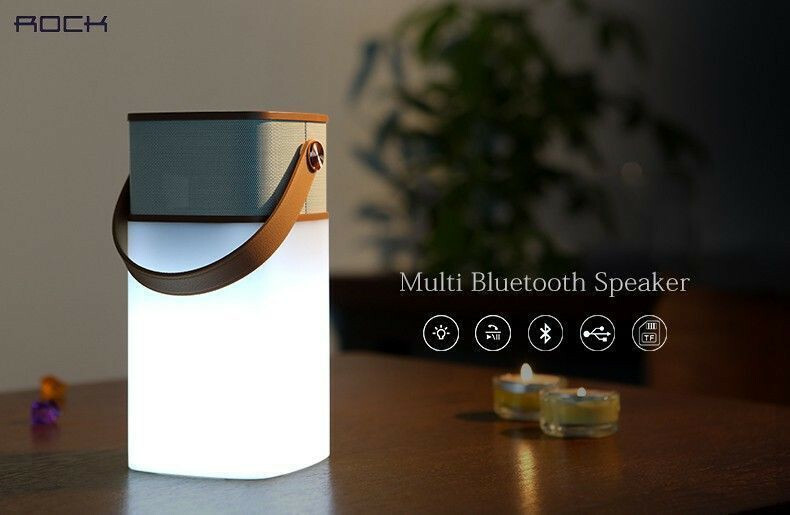 the speaker can connect to computer via Micro USB cable, when connected, it is possible to mutually copy data between TF card and computer£¬ and it also can play music through computer music software. 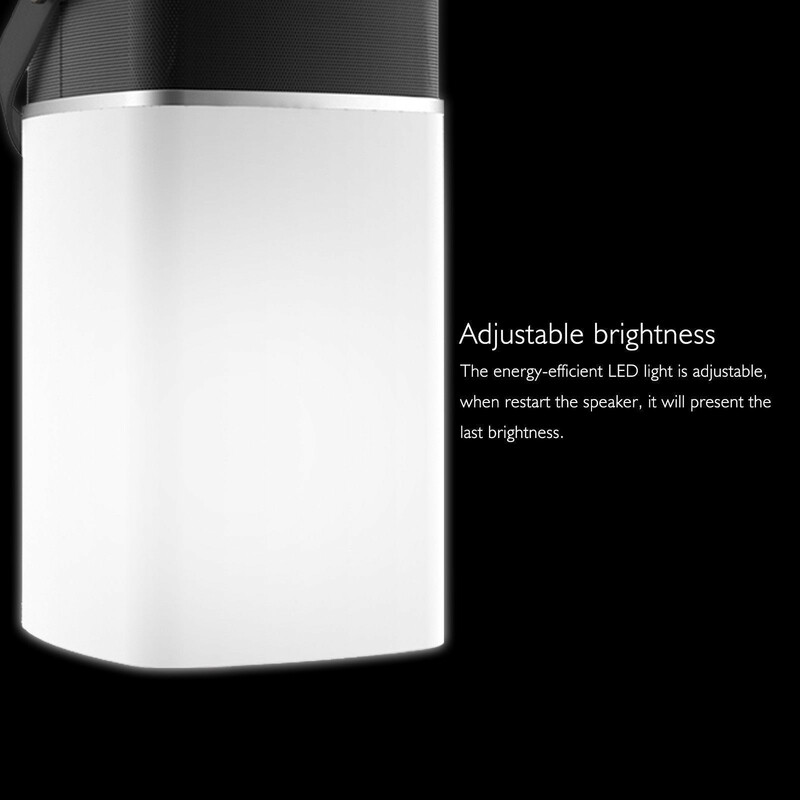 11)Weight . 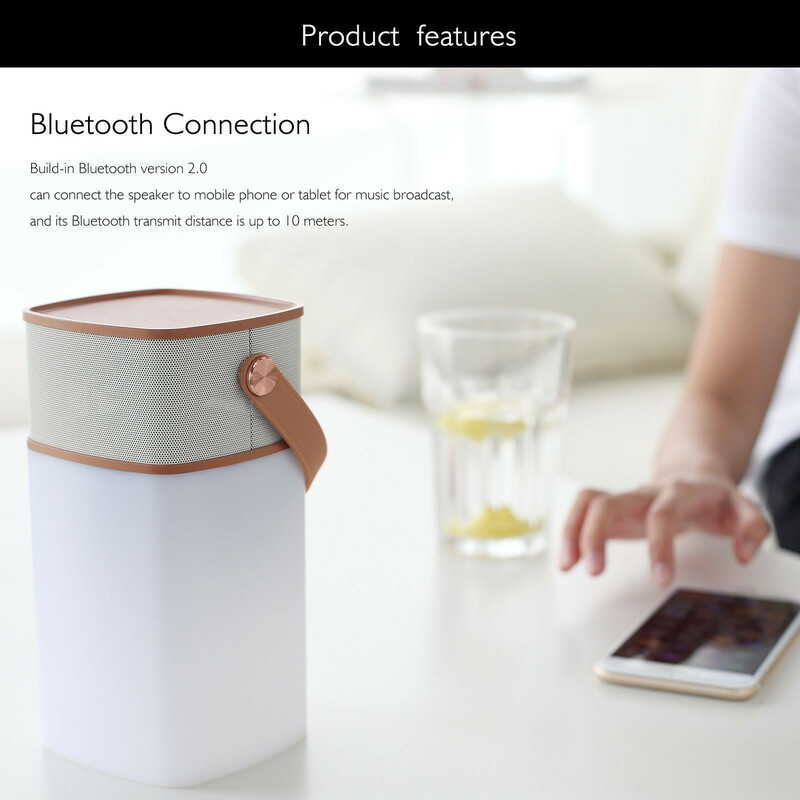 :-640g Build-in Bluetooth 2.0 can connect to mobile phone or tablet to play music, and its bluetooth connection distance can be up to 10 meters. 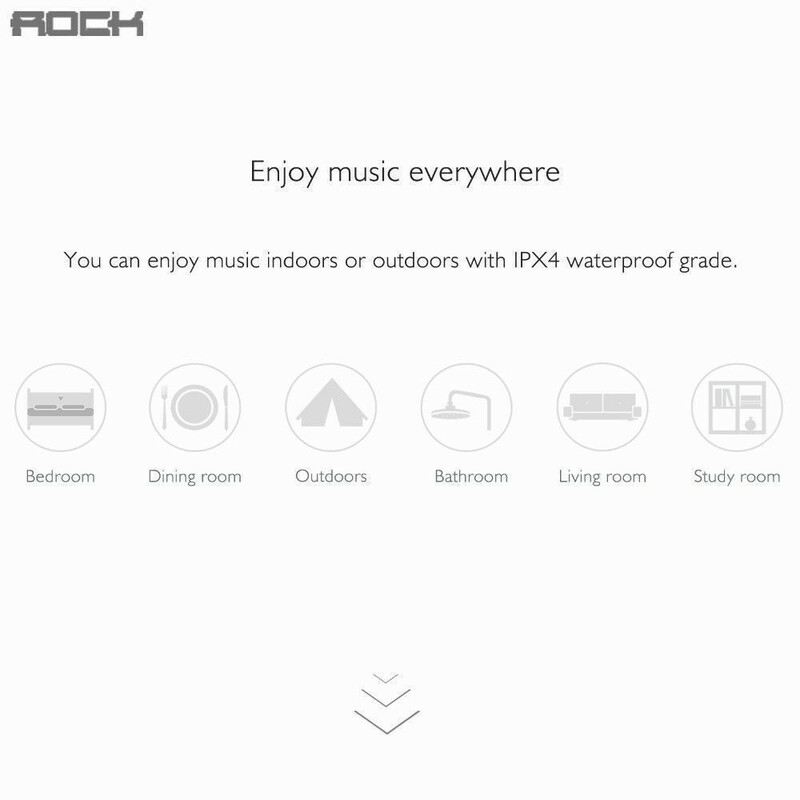 Unique sound cavity design provides deep bass, smooth middle, and delicate treble, you can enjoy music indoors or out doors with IPX4 waterproof grade. 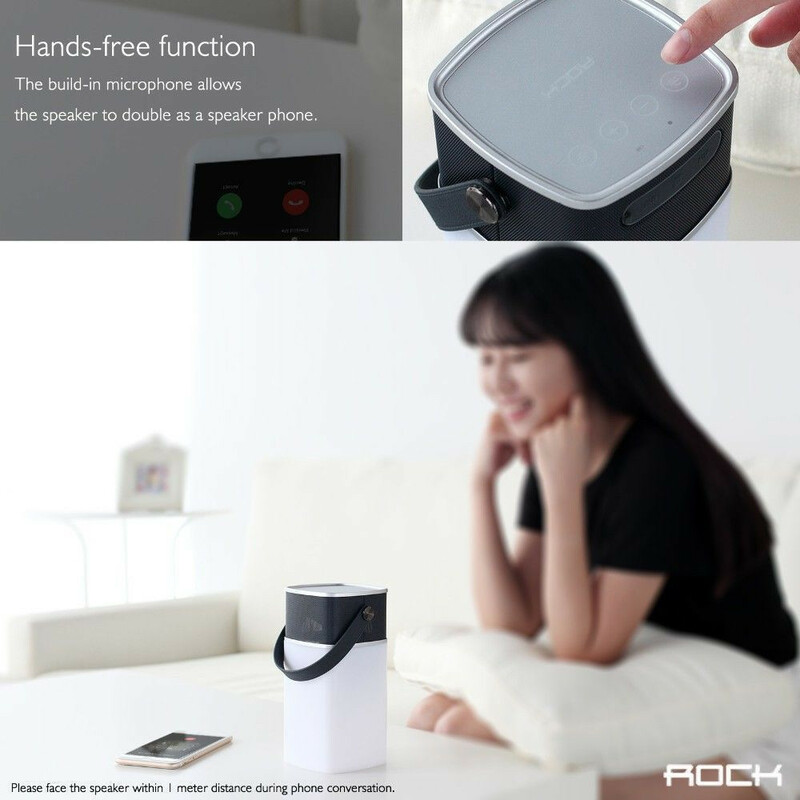 The speaker and build-in microphone can perform hands-free function, convenient and speedy, a 3.5 mm au cable or Micro USB cable connect the speaker to computer, mobile phone, MP3, etc. to broadcast music. 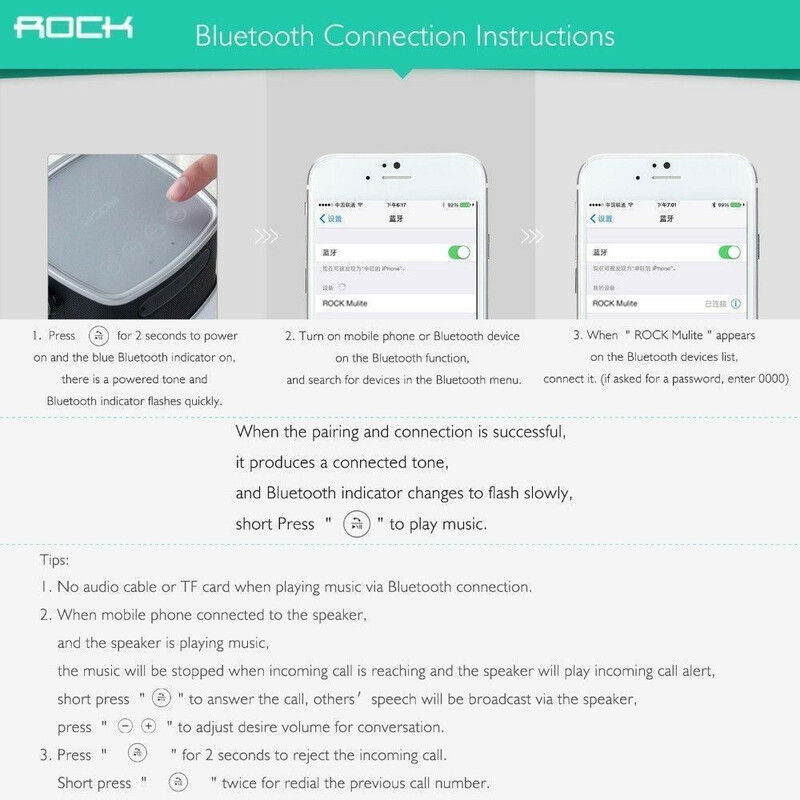 It supports TF card broadcast function and the compatible formats are MP3, WAV, WMA. 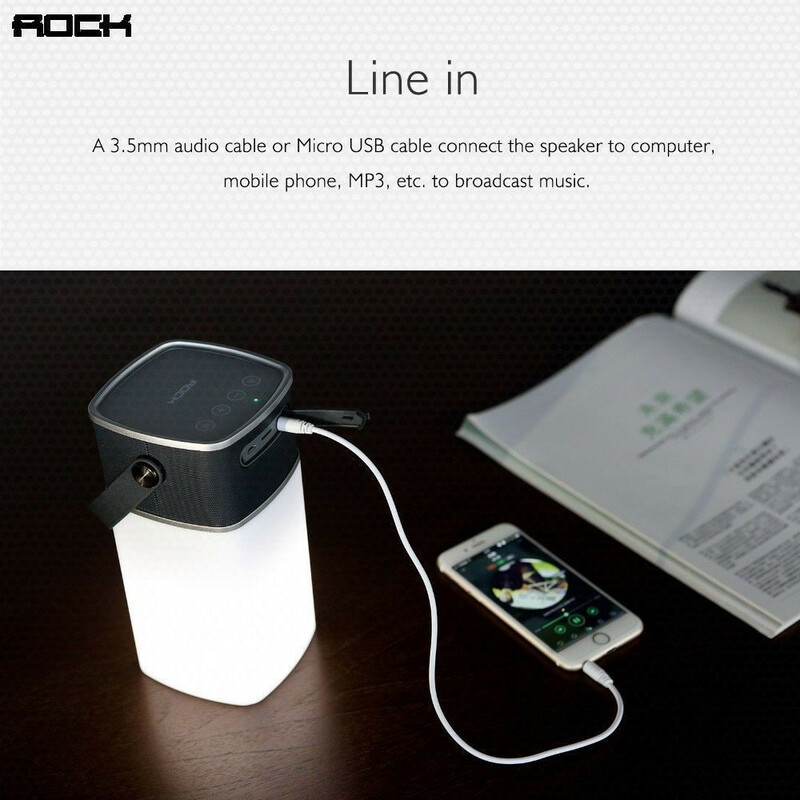 the speaker can connect to computer via Micro USB cable, when connected, it is possible to mutually copy data between TF card and computer£¬ and it also can play music through computer music software. 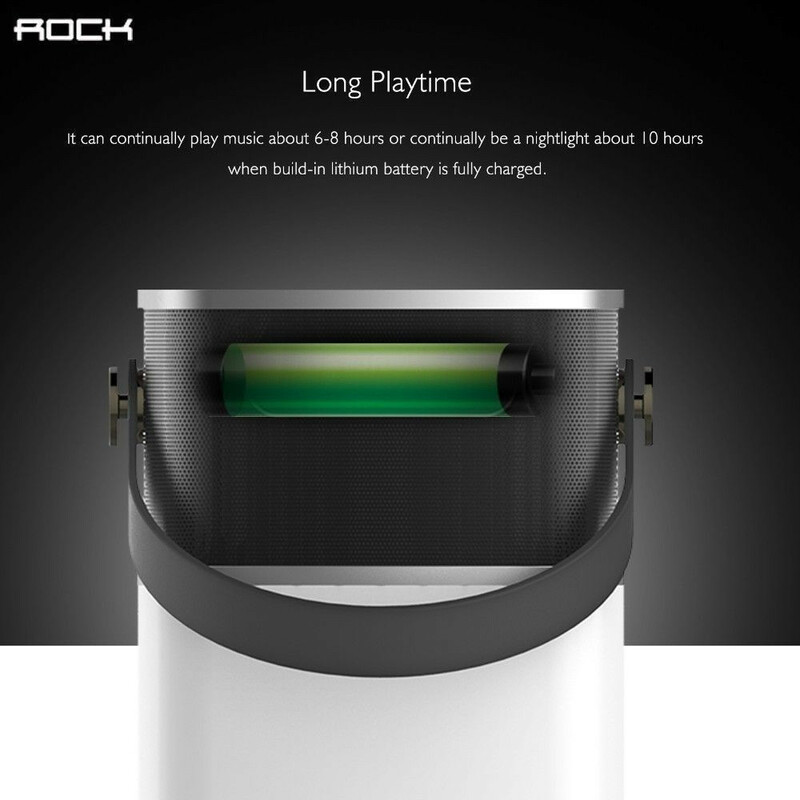 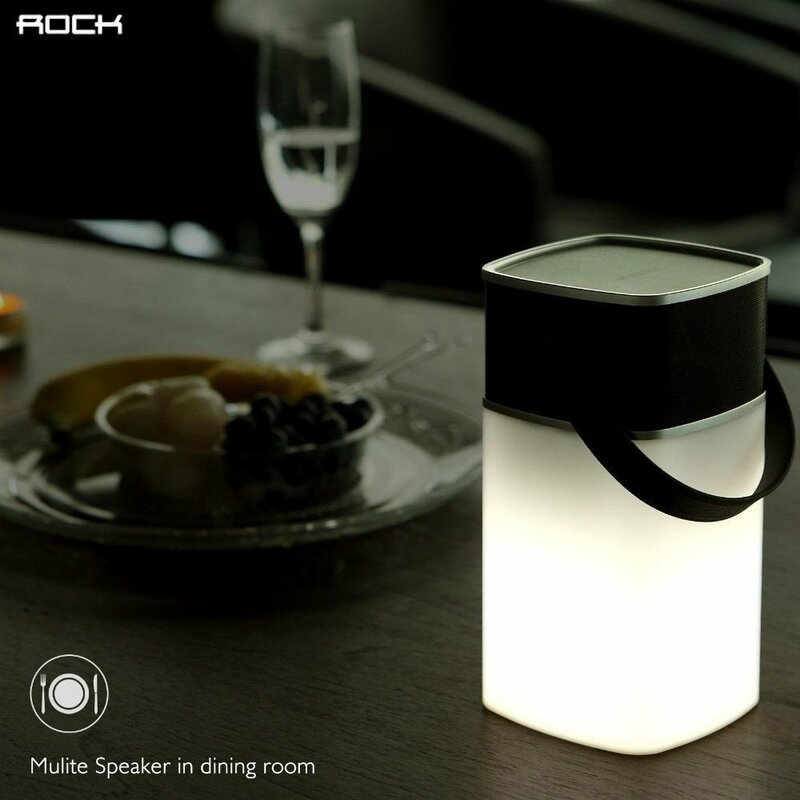 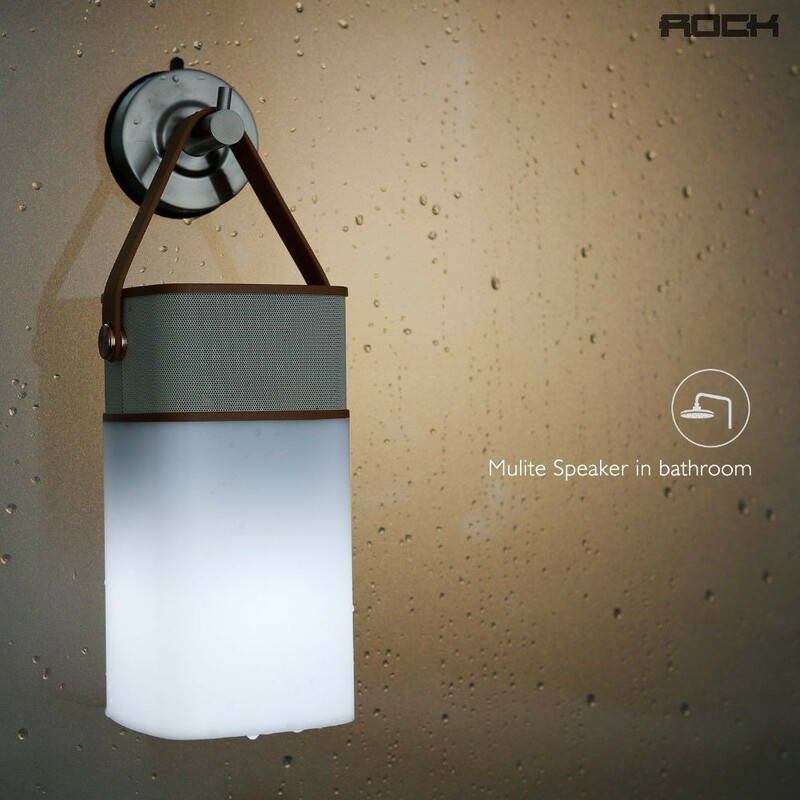 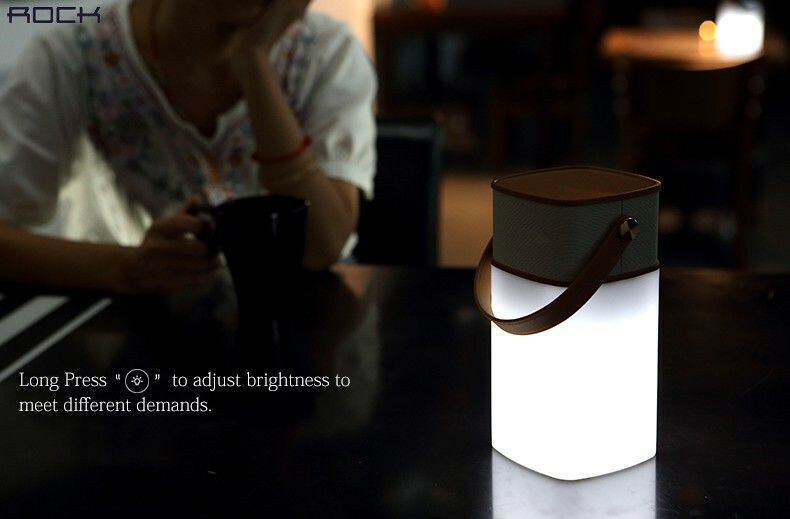 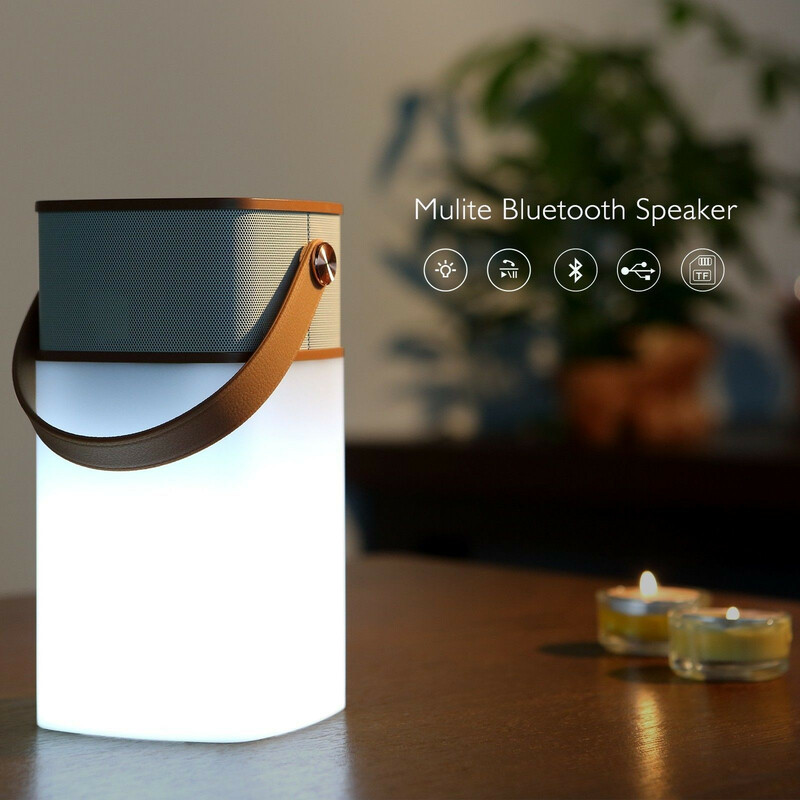 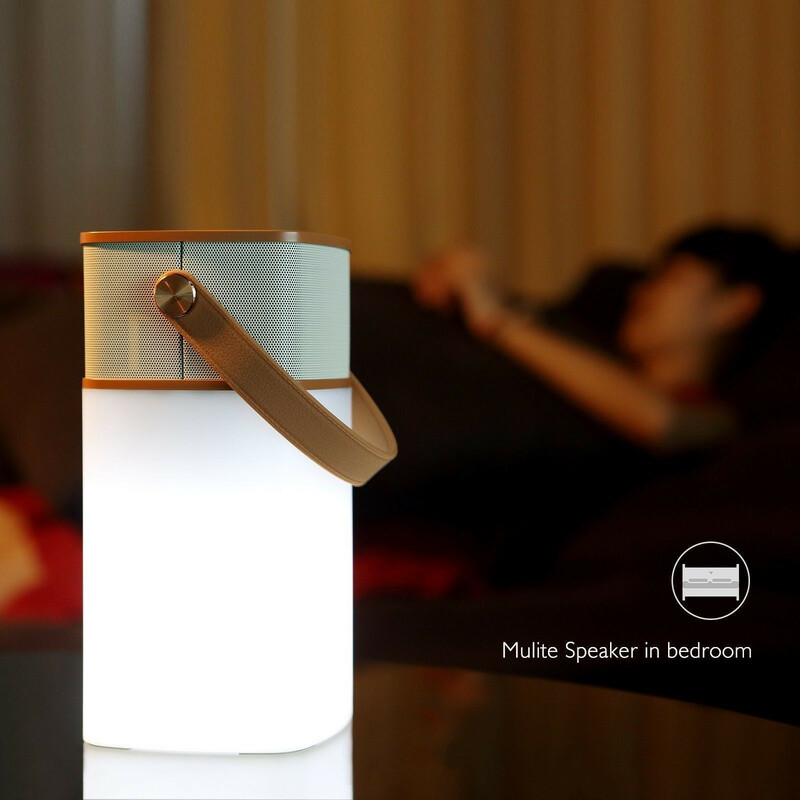 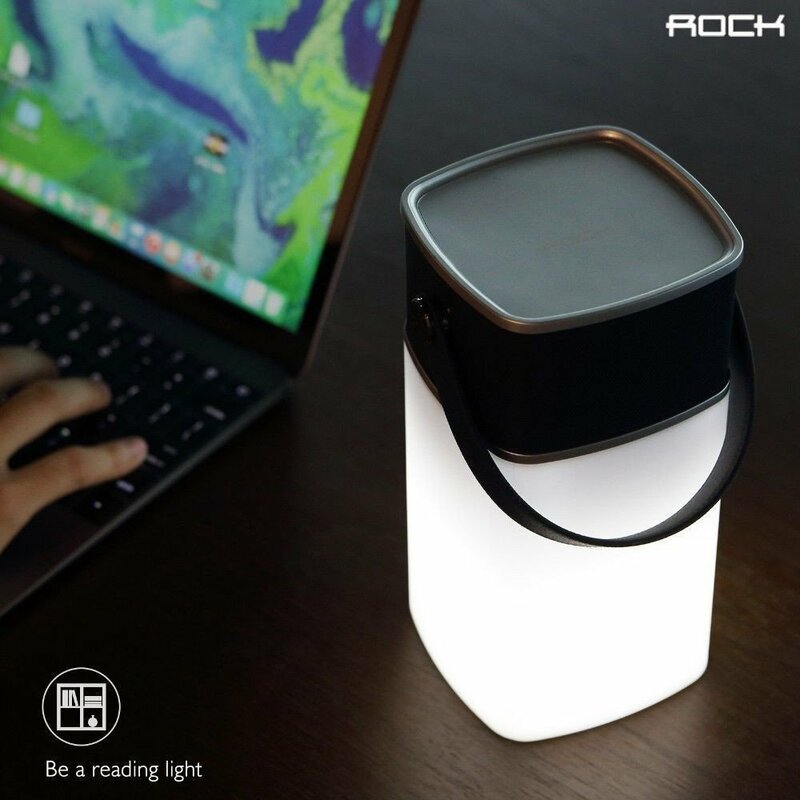 The energy-efficient LED light is adjustable, when restart the speaker, it will present the last brightness, it can continually play music about 6-8 hours or continually be a nightlight about 10 hours when build-in lithium battery is fully charger. "